Diane O'Brien submitted this photo and caption. This picture was taken on June 19 during the Rocky Mountain Rendezvous at Englewood (Colo.) HS. 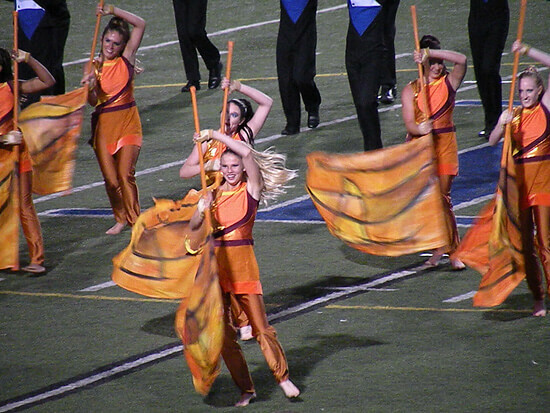 A portion of the Blue Knights color guard shows how much they enjoy performing this year's program for friends and family. Get it BKCG 2010!